Product prices and availability are accurate as of 2019-04-20 03:28:35 UTC and are subject to change. Any price and availability information displayed on http://www.amazon.co.uk/ at the time of purchase will apply to the purchase of this product. 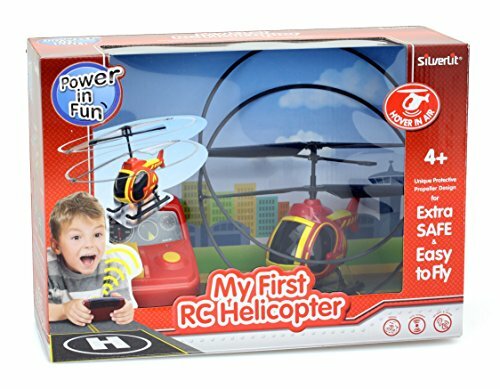 My First Helicopter has been designed to get the younger enthusiast off to a flying start. Featuring contra rotating rotors for superb stability, plus protective rings and an emergency stop button provided for extra safety! 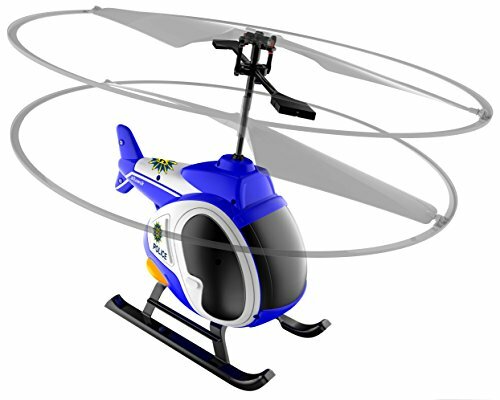 Provides a smooth performance, easy and fun to fly indoors. 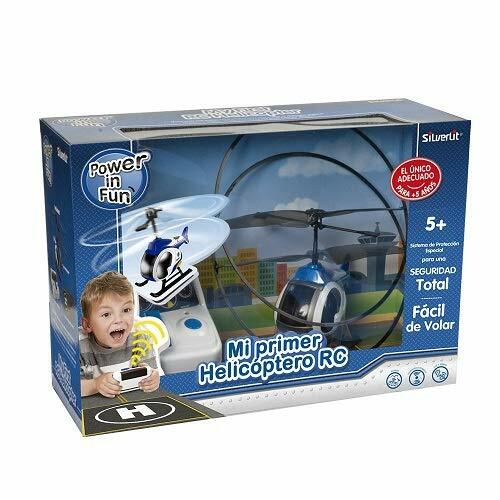 My First Helicopter is made of impact resistant plastic and features LED lights and realistic sound effects for added fun! 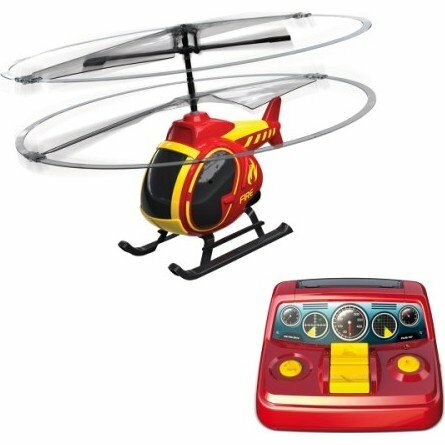 Features and Specifications Super wide infrared control Auto hovering function Remote control features start, stop, hover up and down and turn right only Emergency stop button With double protection rings for extra safety LED light and real sound effects enhance the fun of helicopter Charge My First RC Helicopter through transmitter Includes 1 helicopter, 1 transmitter and 1 play mat Auto take off, hover and landing facility at the press of a button, whilst steering the helicopter to the right Incorporates a lightweight lithium polymer battery for long flights Fast recharging direct from the transmitter Easy to fly helicopter with helicopter pad playmat Required batteries Suitable for ages 5 years + Great for indoor use Made from impact resistant plastic Safety Advice Not suitable for children under 3 years. 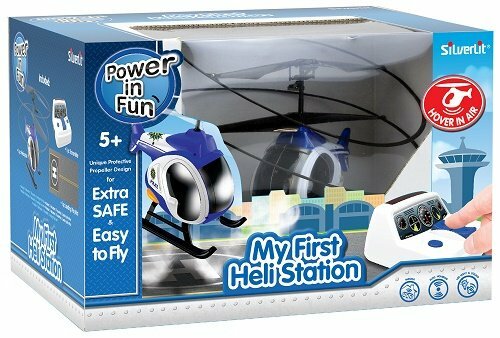 For use under adult supervision To be used under the direct supervision of an adult Take a look at My First Helicopter in action!